Hey all, I've been in and out of the area but I decided to finally become a member. Yesterday, I went out to cedar and got about 8 bass and a healthy pounder in the afternoon. I tried my luck today again around 1 pm and got skunked, midday fishing is tough. I had some extra time so at about 7pm I went out again to try and catch some fish. While I was driving I was contemplating on going to cedar or a small lake close to my house. I went back and forth but finally something told me to try out this new lake. With only about an hour to fish I set out with my quarter ounce black jig, with a black and blue chunk trailer. Now I haven't had much luck with the jig so I figured this would be practice. I get to the lake and cast near some rocks, and instantly get a hookup. 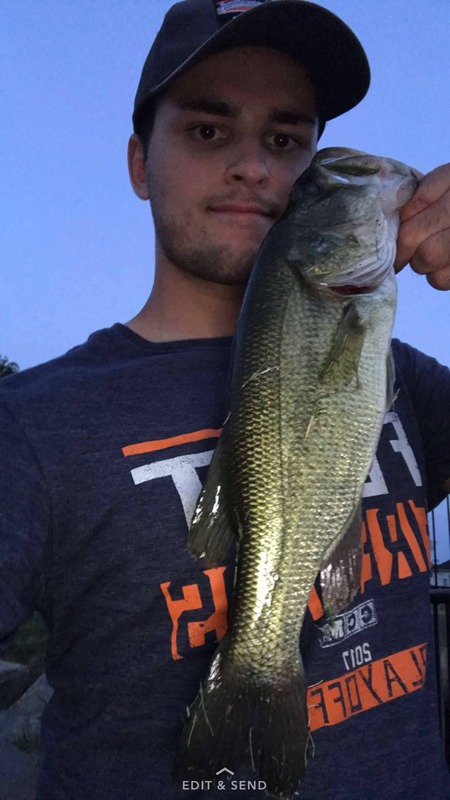 It was a smaller bass, however my confidence in the jig grew, as it was my first ever jig fish. A couple casts later I threw one deep in some scummy and gross looking moss. I gave the rod a twitch and then BOOM I felt the weight of this girthy fish. The fight wasn't that hard but when she got close to shore, she started going crazy taking about 30 feet of line back out to the middle. I finally landed her and was so in shock by how big this thing was. I lifted her up to the scale and she weighed 4.82 pounds, not bad for my second ever jig fish! I then continued on to catch about 15 more bass (mostly on senko) and even got another nice one around 2 pounds. 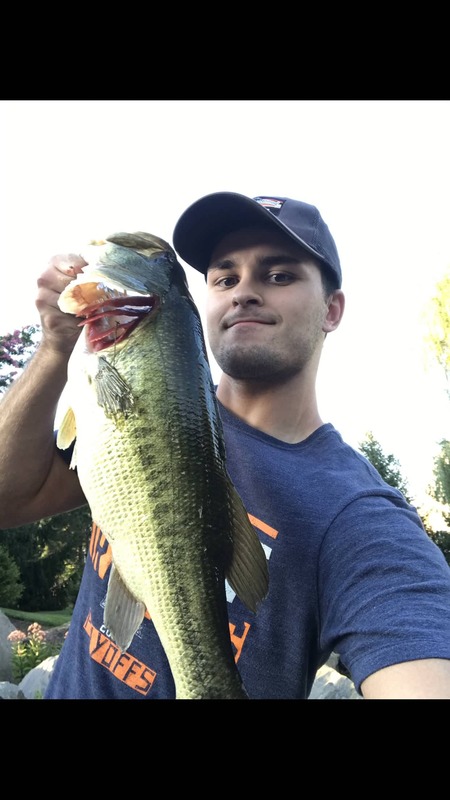 Today was very productive even though I skipped an important event to go fishing, I'd say it was worth it since I got my PB BASS! Not sure how to post a pic but I got a few of this beauty! P.S I think I found my new calling in jig fishing! Nice work and welcome....most of us use or used Photobucket but they are charging now. Need to find another hosting site. Hopefully those work, first two are of the beast and the last one is the two pounder all released back into the wild. Edit: I forgot to mention I never caught much fish on straight braid which I had been using, however these past couple days I had been tying on a flouro leader and have been hammering them! Never going out without one unless I'm frogging! I am late to see this post. Is this Garrett Forrest the hockey goalie who is tearing it up in the pro league in Canada? I new you way back when you and your brother were just starting to play. I coached Mad Dogs for a while. I am Tyler Folts' dad. Tyler is on this board too. You are doing great stuff.....this is all assuming I am right in guessing you are Garrett! Is this Garrett Forrest the hockey goalie who is tearing it up in the pro league in Canada? Now I haven't had much luck with the jig so I figured this would be practice. P.S I think I found my new calling in jig fishing! Gforrest, you have no idea how happy this post makes me. This is the best way to learn. You can talk to all the people you want, read all the websites available and watch tons of videos and none of it replaces practical, personal experience on the water. Doing this over and over with different lures at different times of the year is what will make you a better fisherman. You will find out what works for you on the bodies of water that you fish. 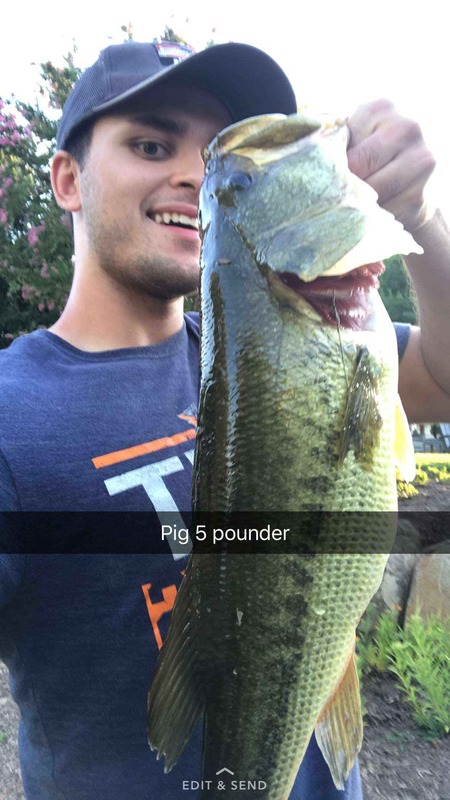 There are so many different techniques and lures that will all catch at one time of another, but you figured our what worked for you and you were rewarded for the effort.